Painting is important. It is fundamental form of expression and and those who engage in this activity must answer certain questions: why should I paint? What should I paint? How do I conjure a painting from my inner vision and outer perceptions? 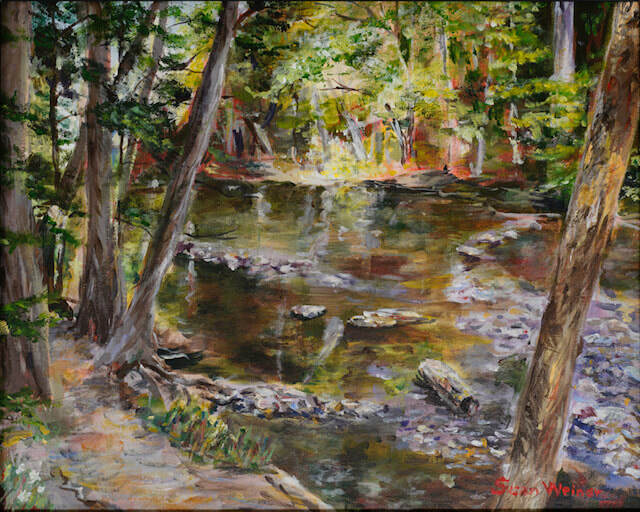 The emphasis of the class will be on oil painting but those who wish to work in acrylic or another medium will learn the same fundamentals of creating a painting. You will paint on a prepared canvas from visual source material. This source material will be provided or you may bring your own, typically a drawing or photograph. You will be shown how to take this and create a poetic, three dimensional composition on the two dimensional surface of the canvas. It will be demonstrated how to prep a canvas, how to transfer a composition to canvas and how to realize this image in paint. You will gain an understanding of colors and their relationships to each other, how to use color to create space and use groupings of color as visual chords playing against other visual chords. The end result will be a painting that is a living breathing organism. Materials list pending registration. ​**Mentoring option available for this class: bring your own projects and receive feedback and guidance as you work. Pay via PayPal below. Checks may be mailed to us before 1st day of class. Wednesdays 9:30 a.m. - 12:30 p.m.
Non-instructional. We provide boards, clips, easels, model, stage and appropriate lighting/set. Bring your art supplies. RSVP by day prior (Tuesday) to ensure a spot and get discounted rate. Drop-ins welcome. Registration not required. art by student, Susan W.
Wednesdays 1:00 p.m. - 3:30 p.m. Working from photographs from the landscape genre, students will work through a methodology of creating a painting. We will begin with determining a composition from the student's photograph or a provided one. After setting a color palette we will work through creating, texture, light and depth, and bringing the piece to completion. Beginners welcome. A multi-level ongoing class designed to train the student to see and render life accurately and with sensitivity while working from direct observation. Classical drawing techniques and materials will be explored, with primary focus on proportion and value principles. Students will work with a variety of subjects, observational still-life and casts as well as the portrait and the figure from photograph references. All projects are centered around individual skill sets. Charcoal, graphite and pastels used. Beginners to intermediates welcome. ​This 5-week classic academia style course emphasizes the basic principles of drawing for the beginner artist. Students will gain essential knowledge regarding how to represent what they see through the understanding of drawing tools, lines, shape, volume, mass, value, perspective, proportion and positive/negative space. 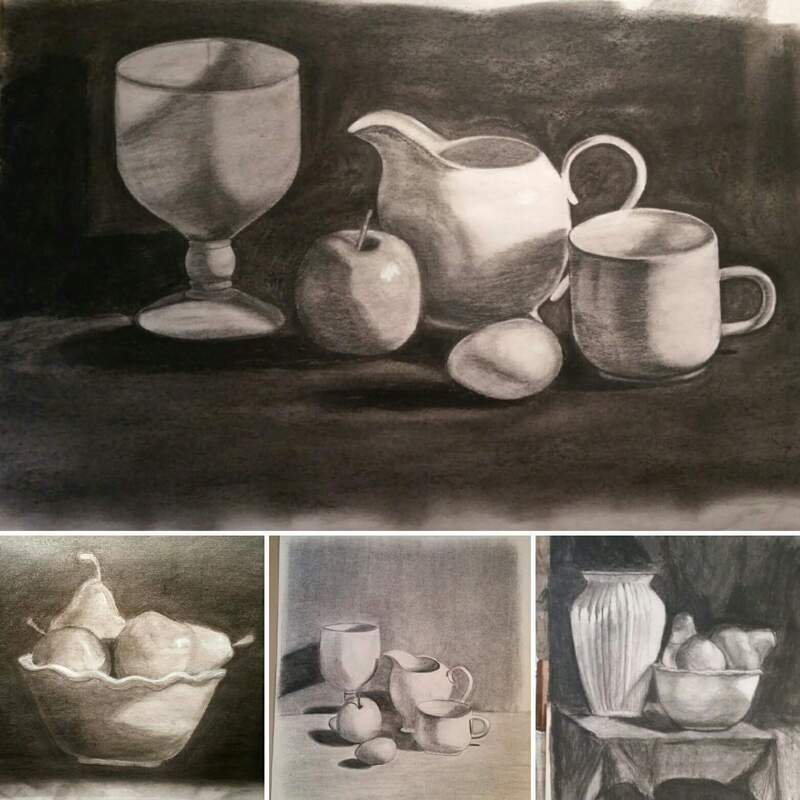 Students will work at their own pace from shared simple still life arrangements to gain maximum understanding and practice ​of learned concepts while building confidence and training the eye. An excellent first drawing class for adults! ​​- We provide boards, clips, easels, model, stage and appropriate lighting/set. ​Please check back for new classes or join our mailing list to stay informed.